Traditional website design is finite in it's timeline. You build a website based on assumptions of what will work best from the customer's point of view. The website is built, published, and left alone. A couple years later, you realize the website isn't working as good as it could be and is falling behind-the-times, and you go through another costly redesign. Growth Driven Design, on the other hand, is a new concept that questions that old paradigm. What if a website was always evolving to leverage consumer behavior metrics? What if your landing pages were always getting better, and converting better? What if your buyers' journey, and navigation were always being tweaked to build a better user experience? These are all questions Growth Driven Design answers. It's a new way of thinking about website design. 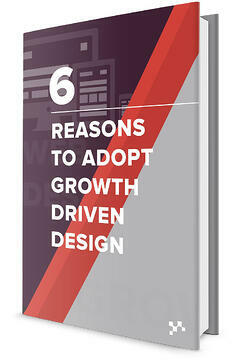 This eBook will guide you through 6 reasons you should seriously consider choose growth driven design the next time you feel your website needs an update.